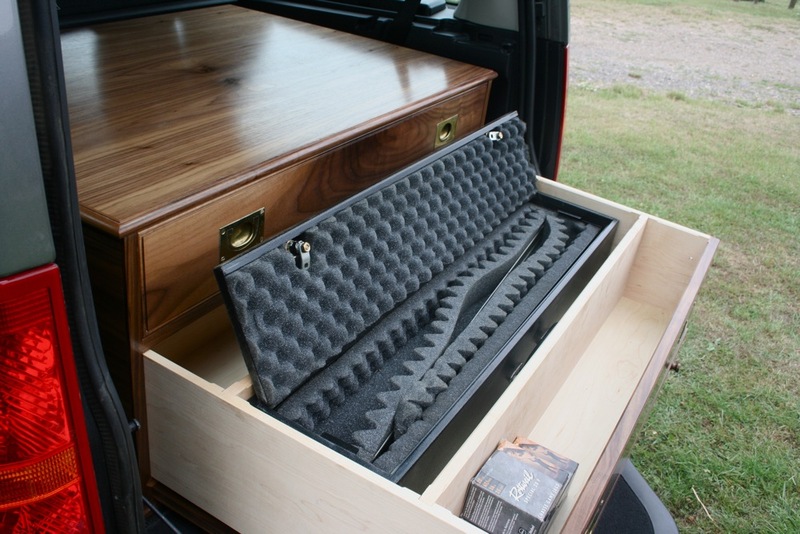 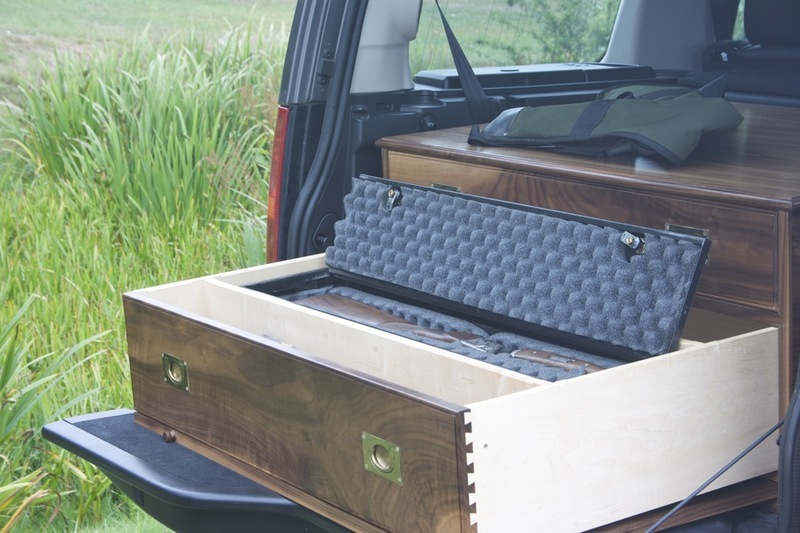 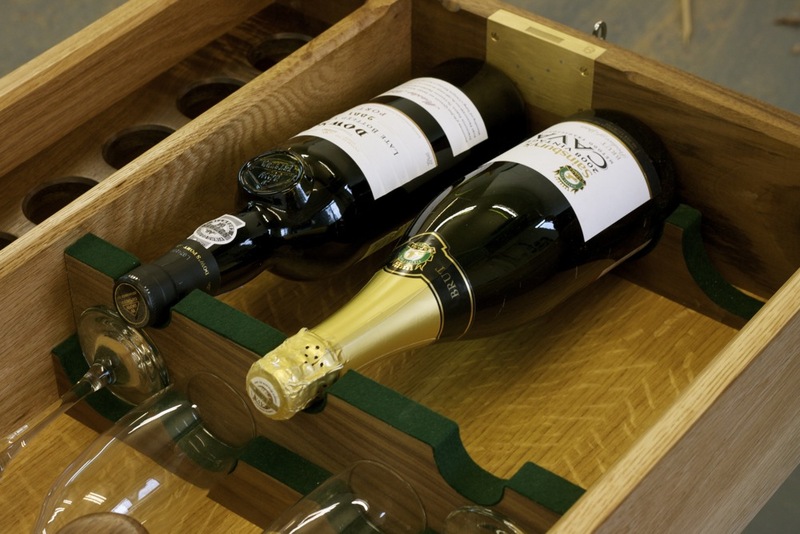 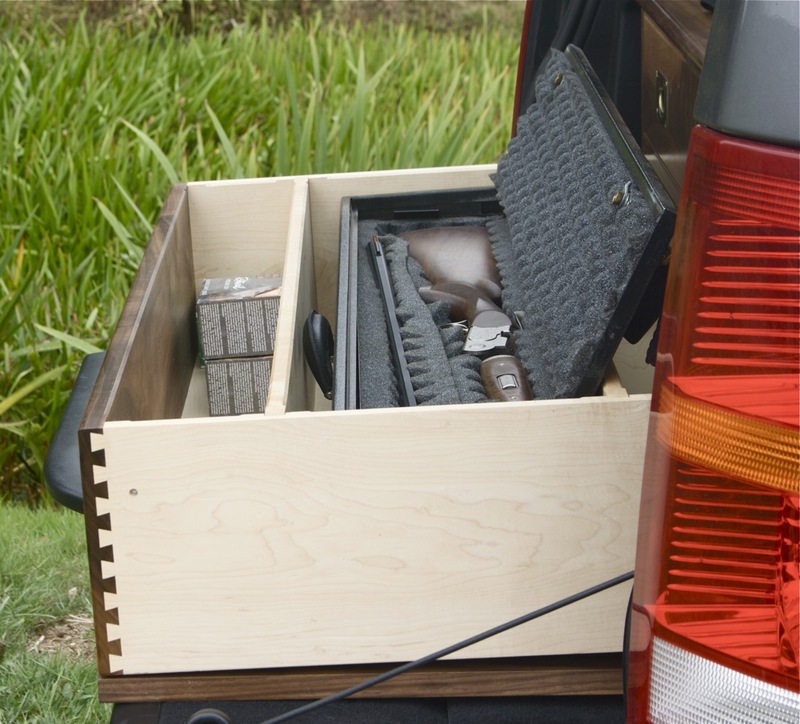 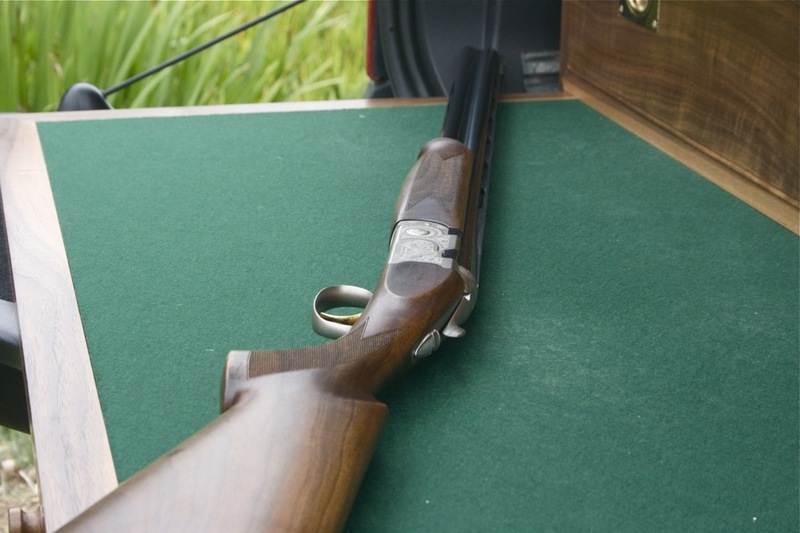 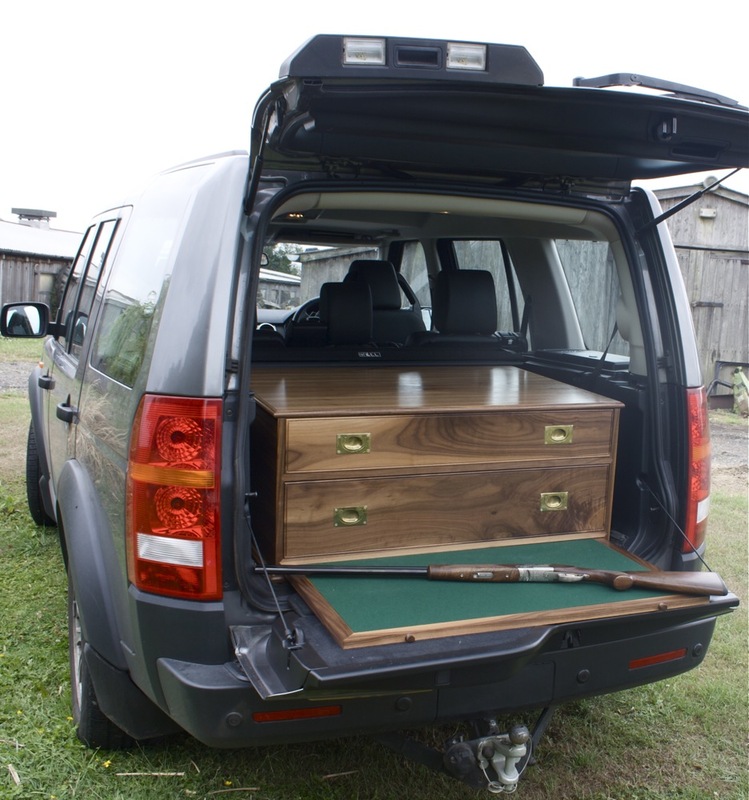 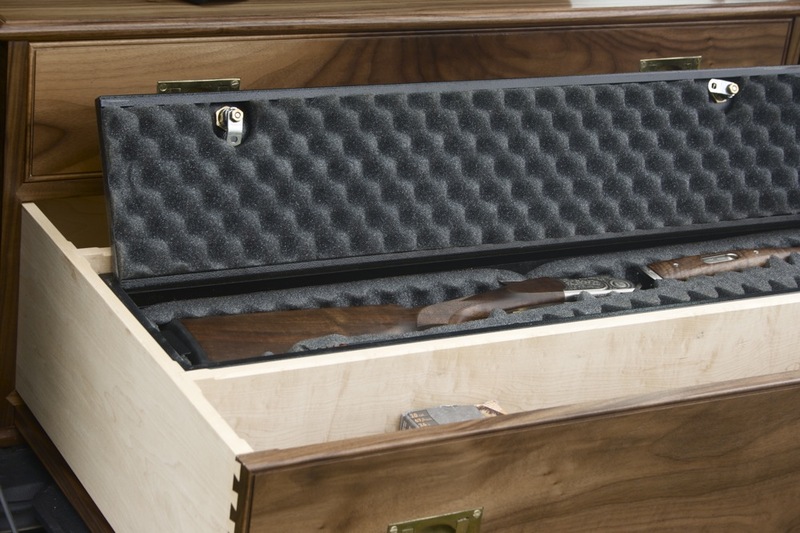 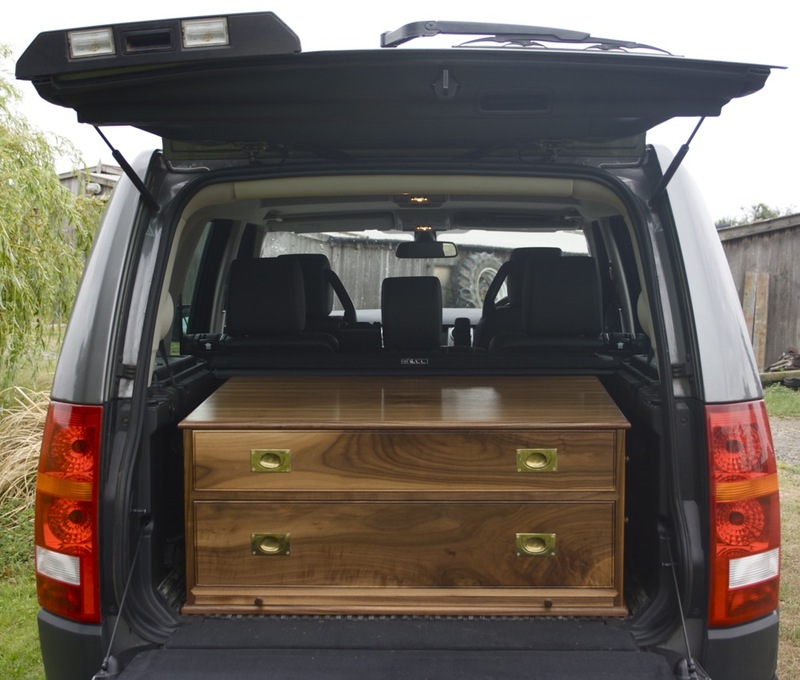 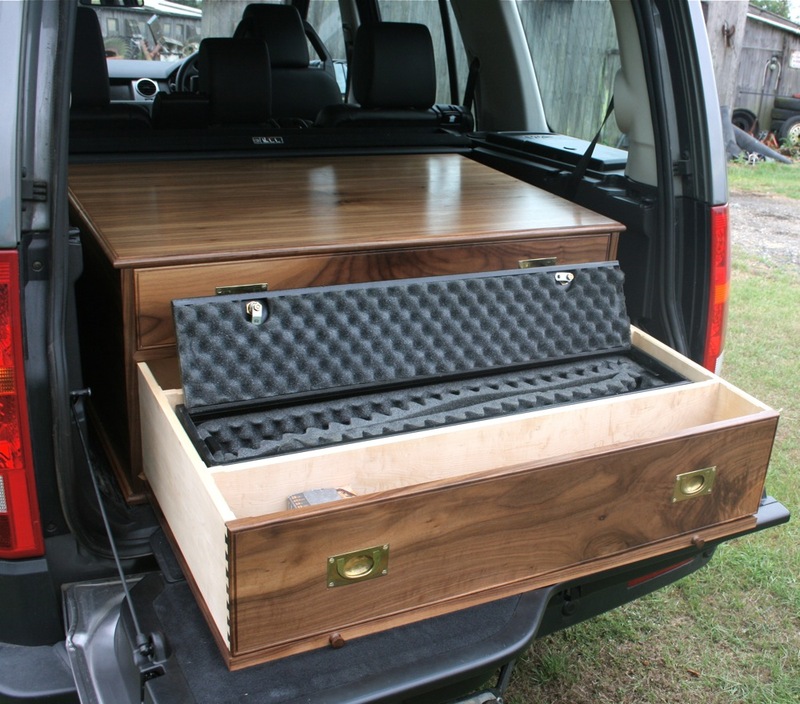 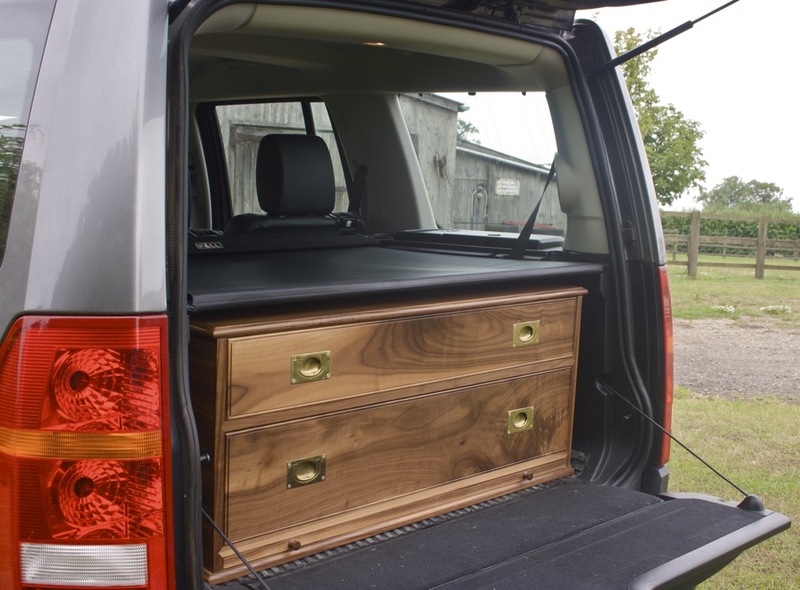 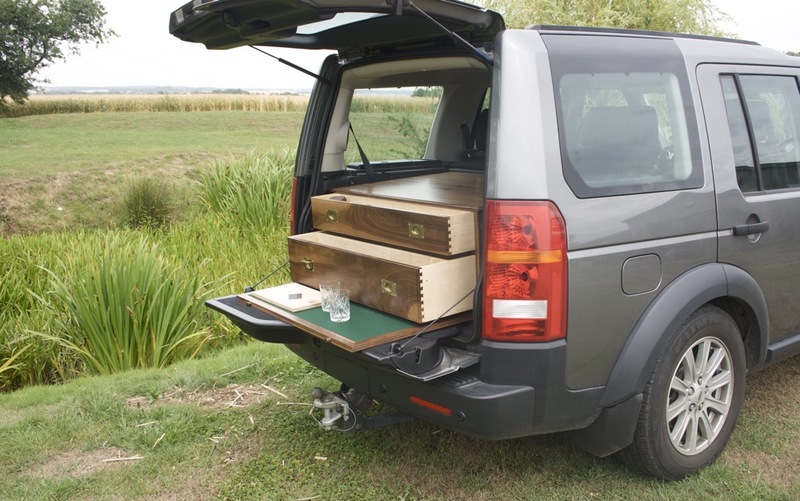 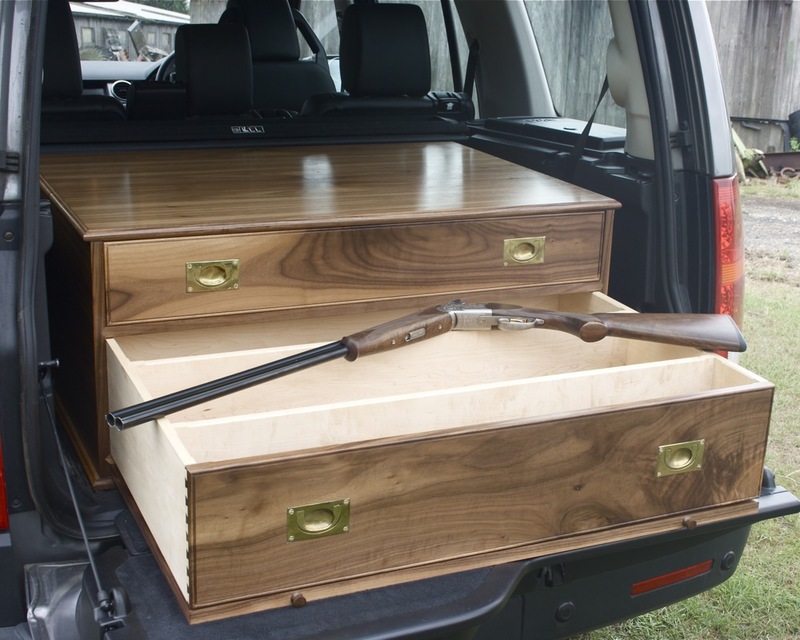 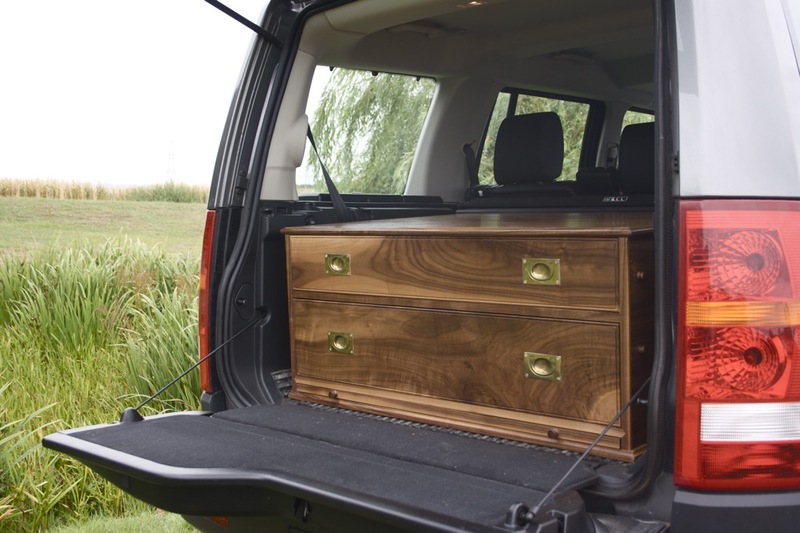 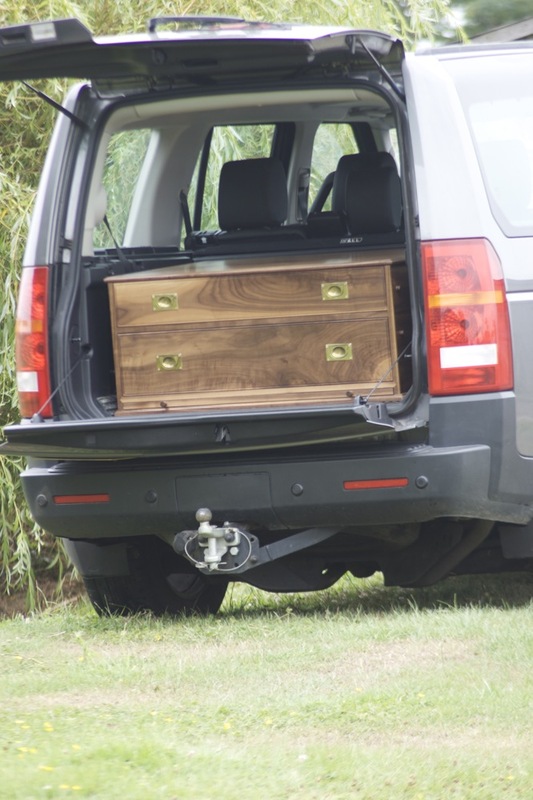 This boot chest offers a lot of gun storage with three large compartments in the base drawer for cartridges and two to four rifles. 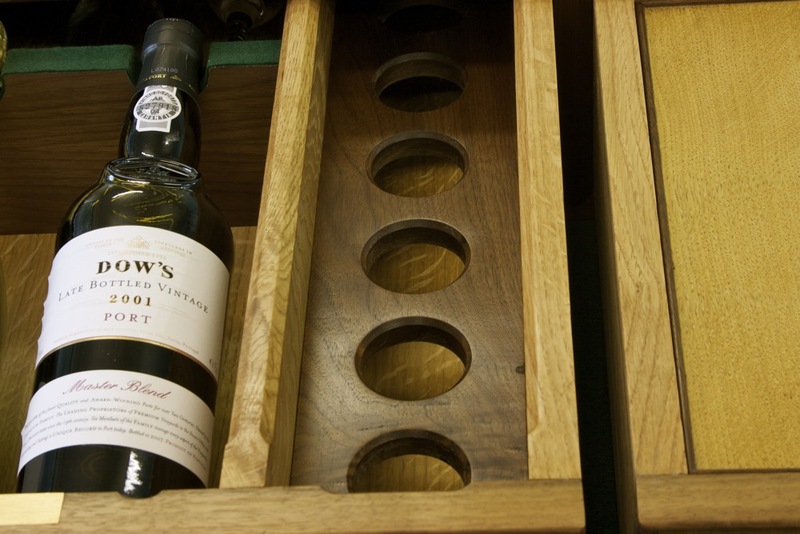 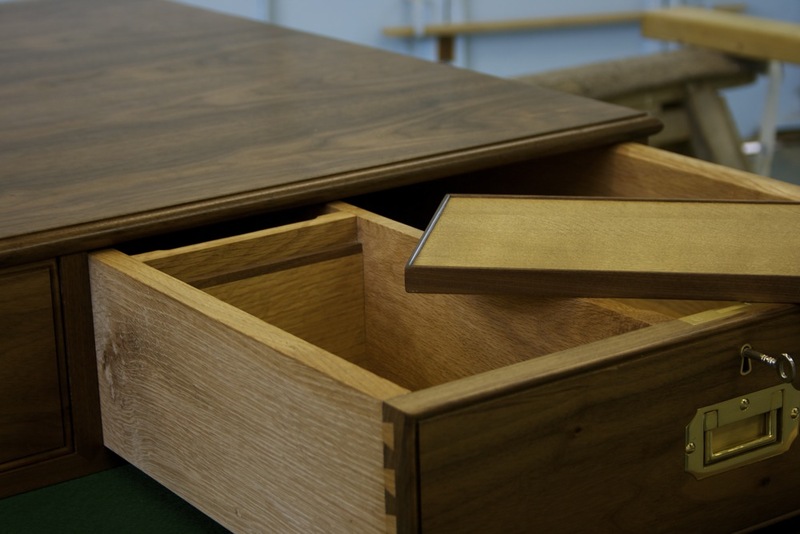 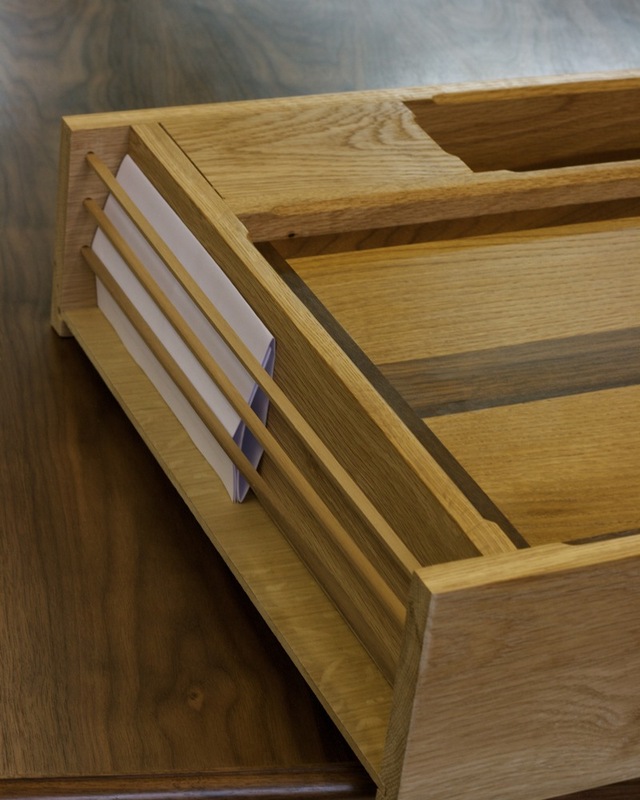 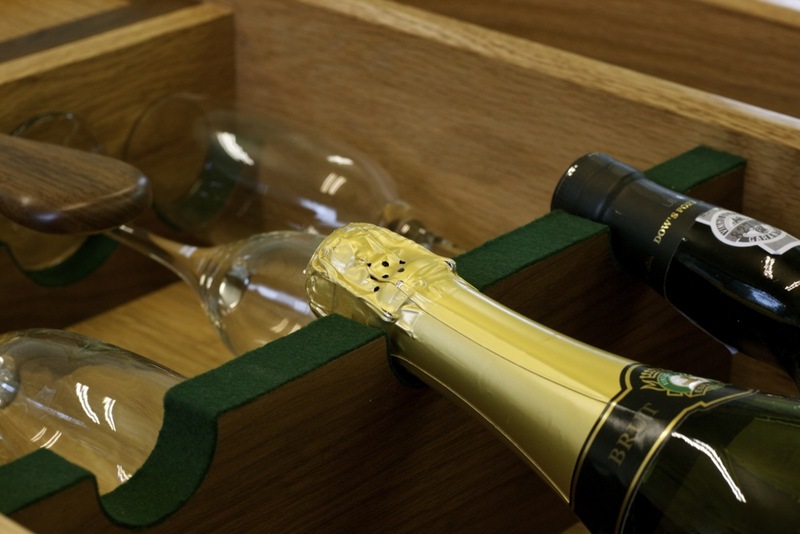 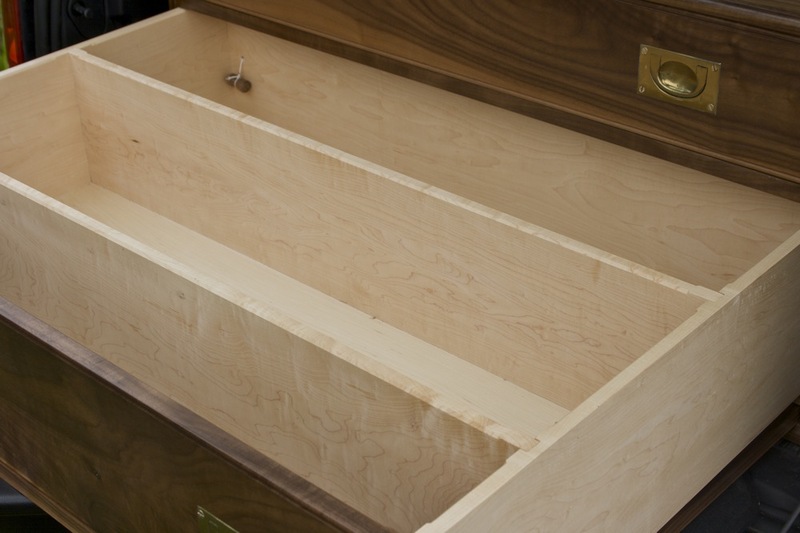 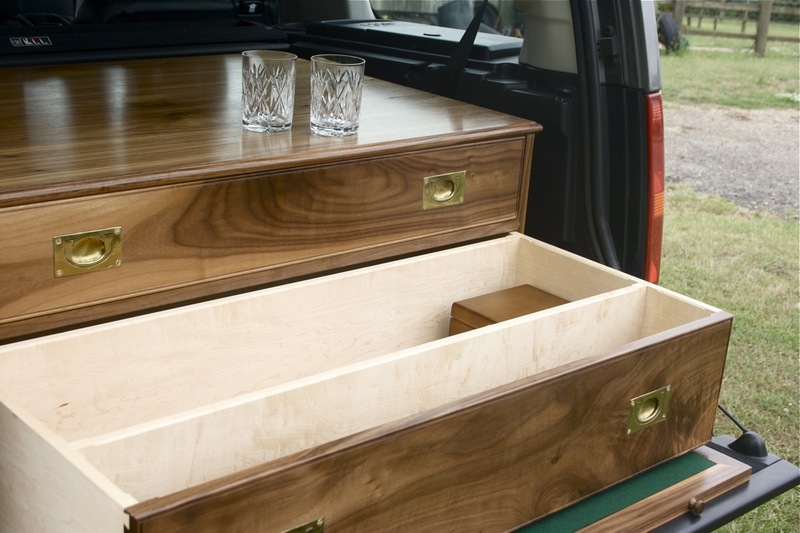 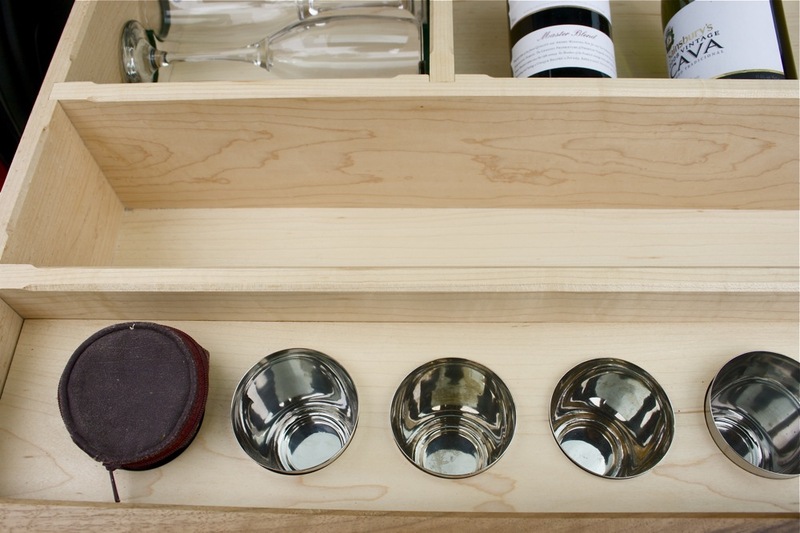 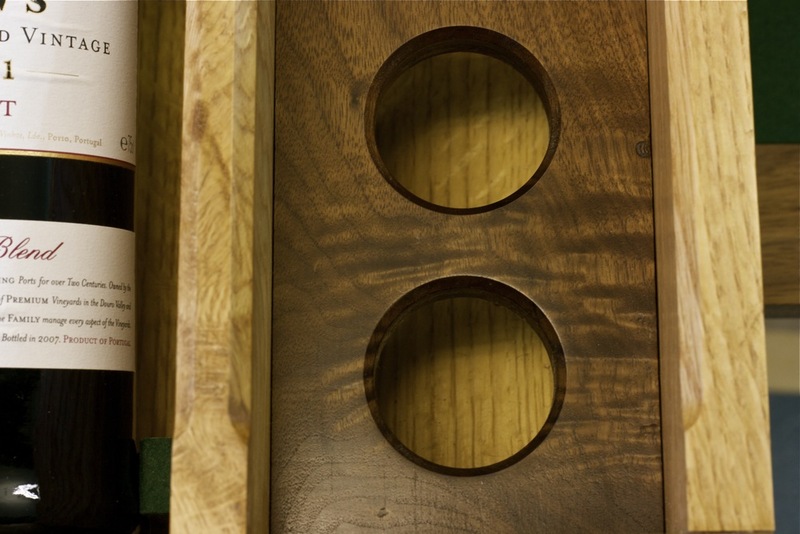 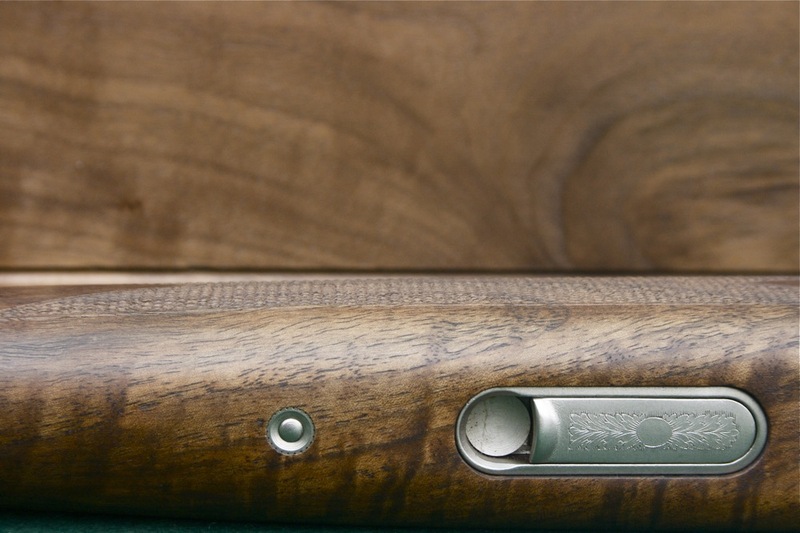 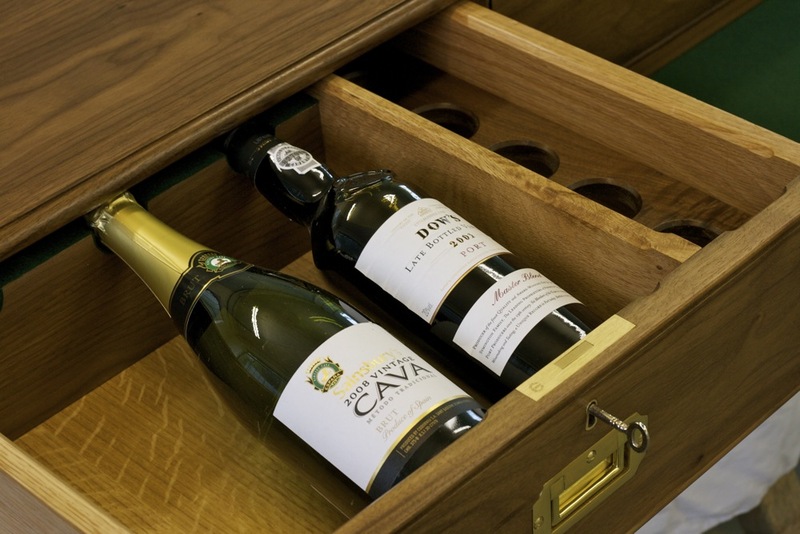 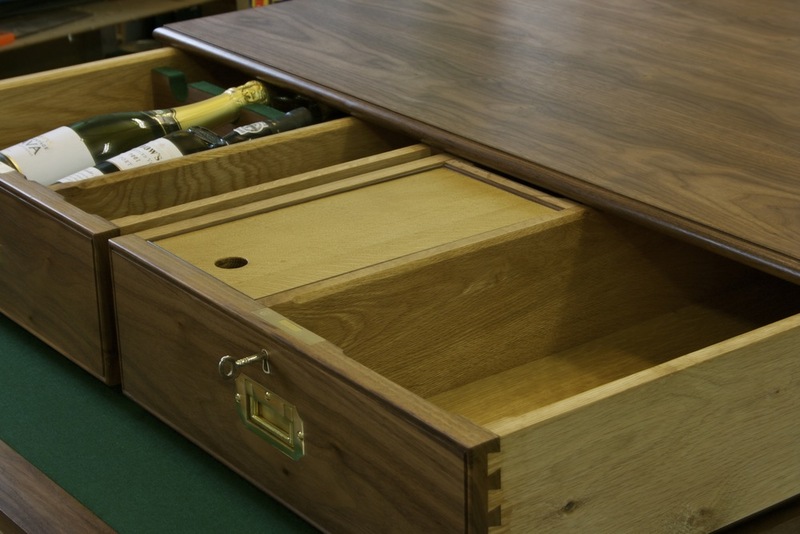 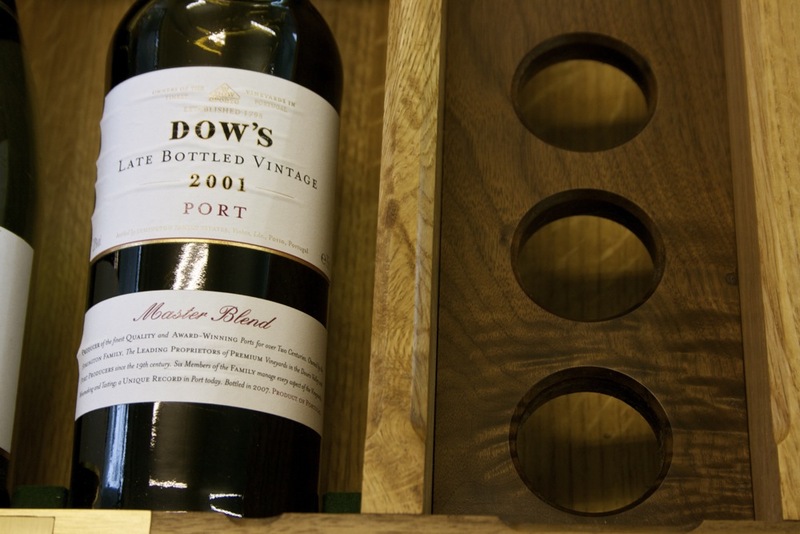 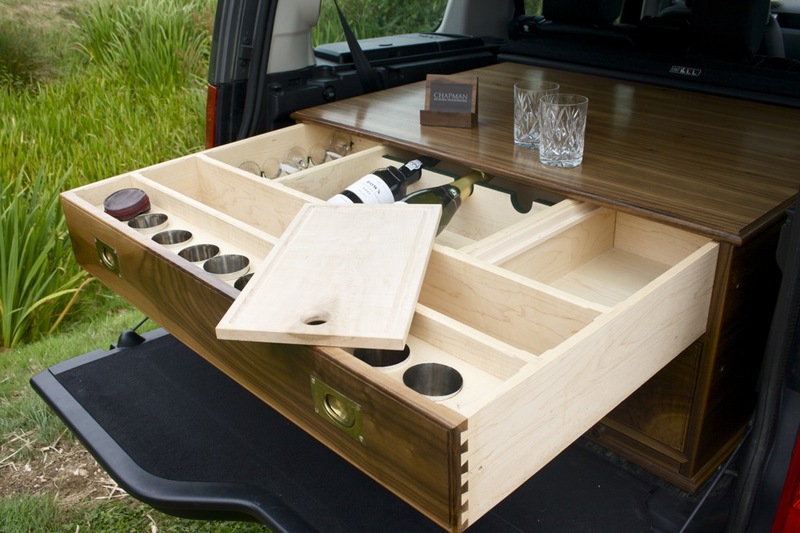 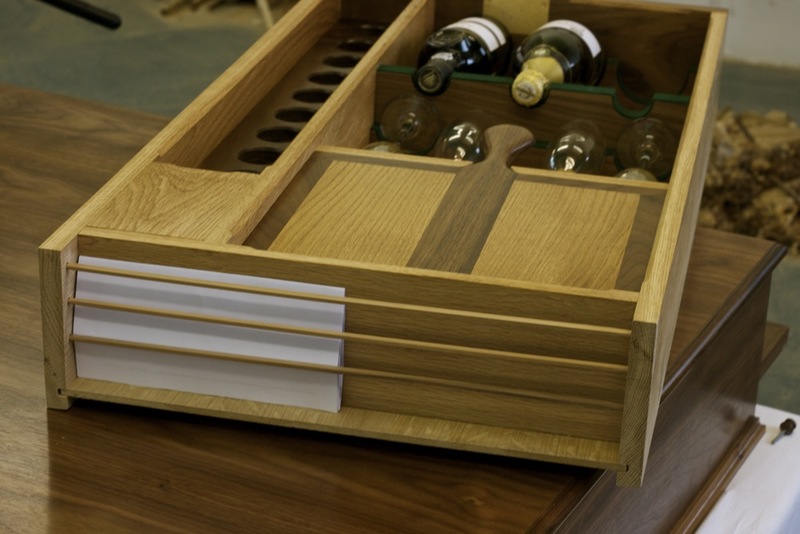 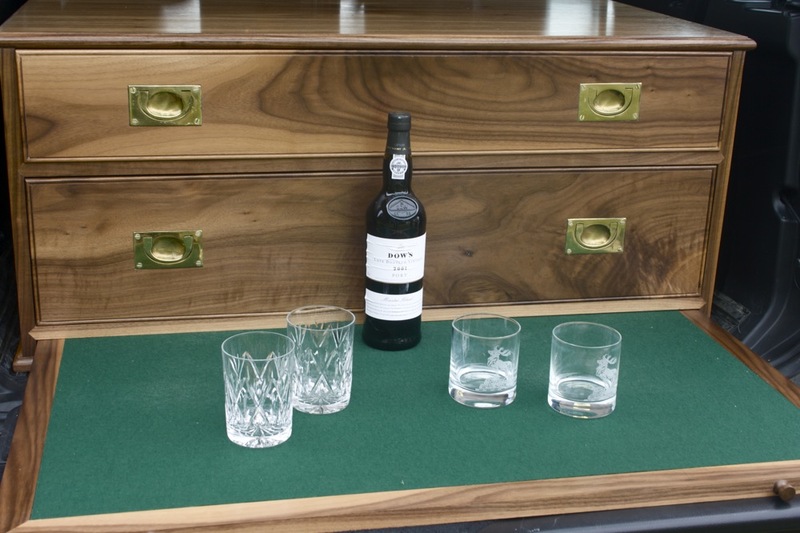 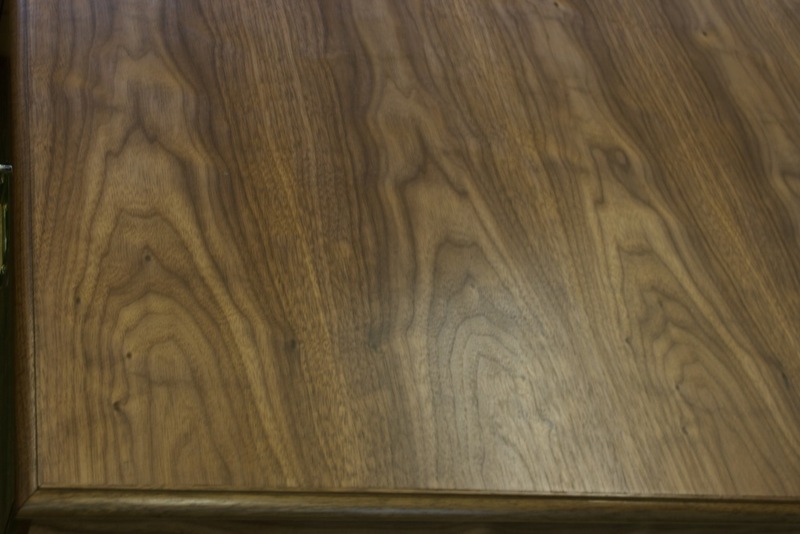 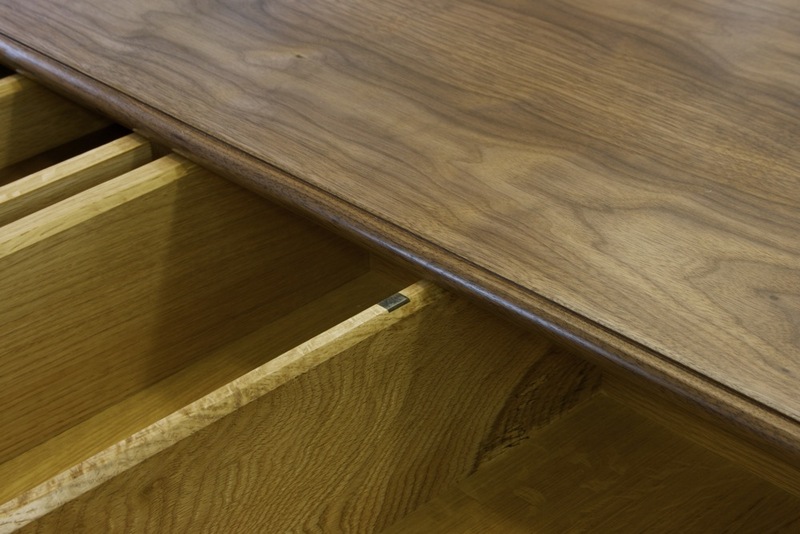 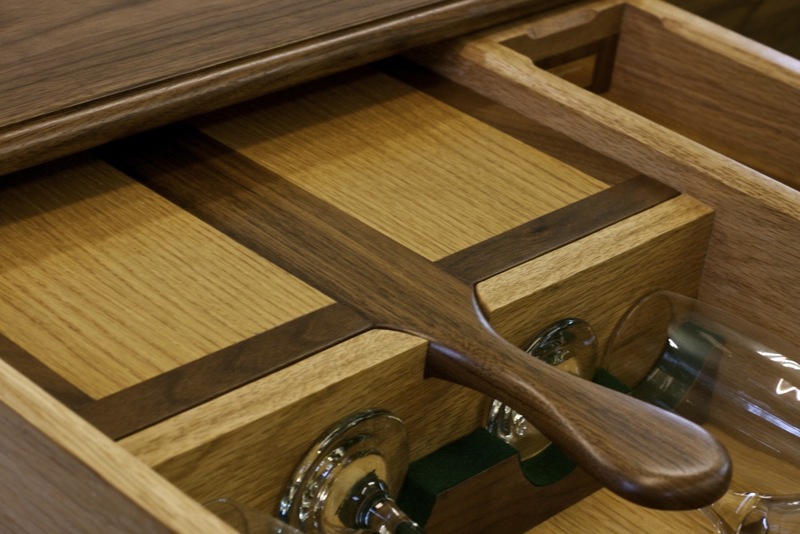 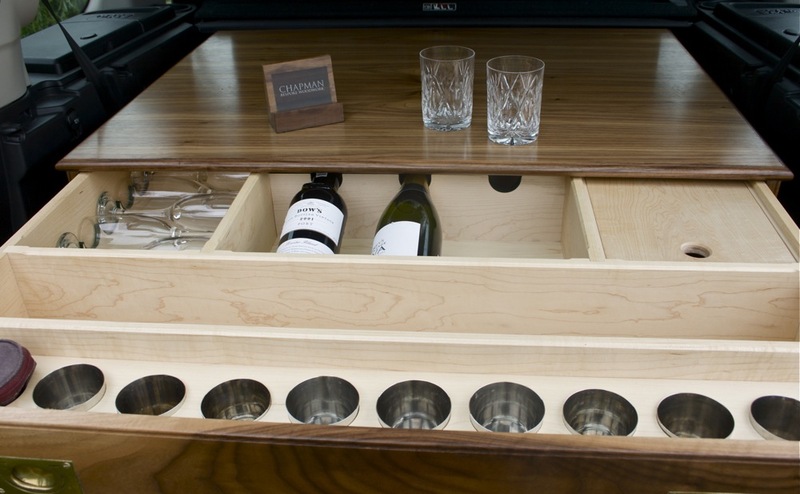 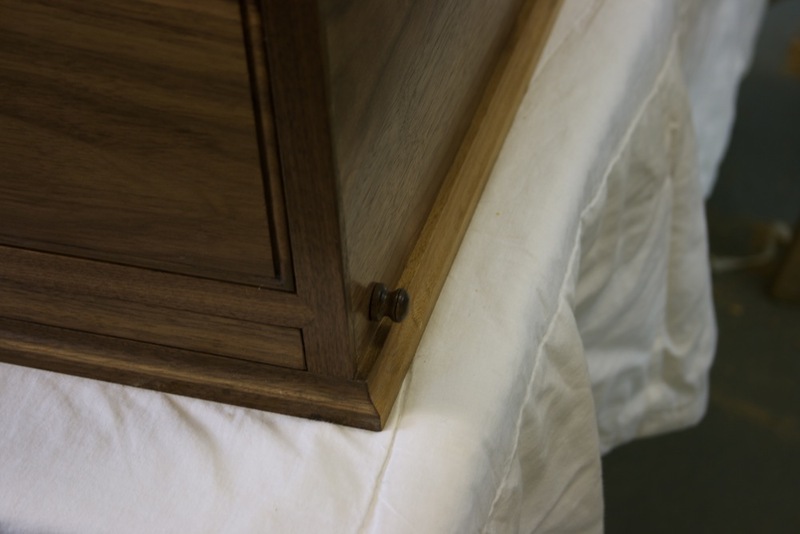 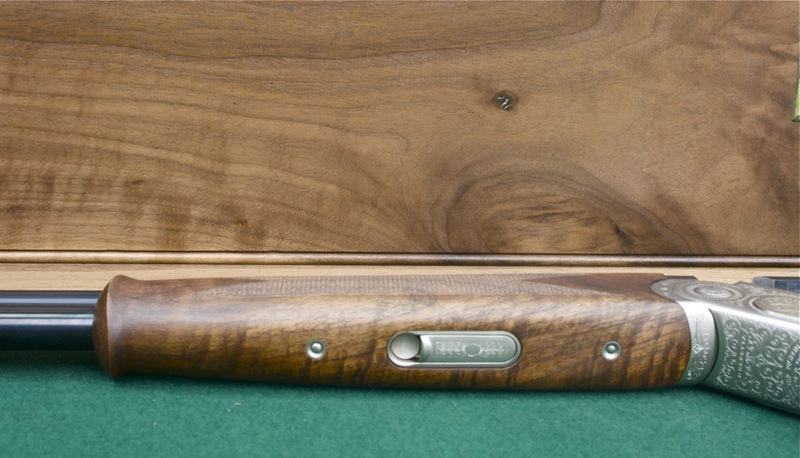 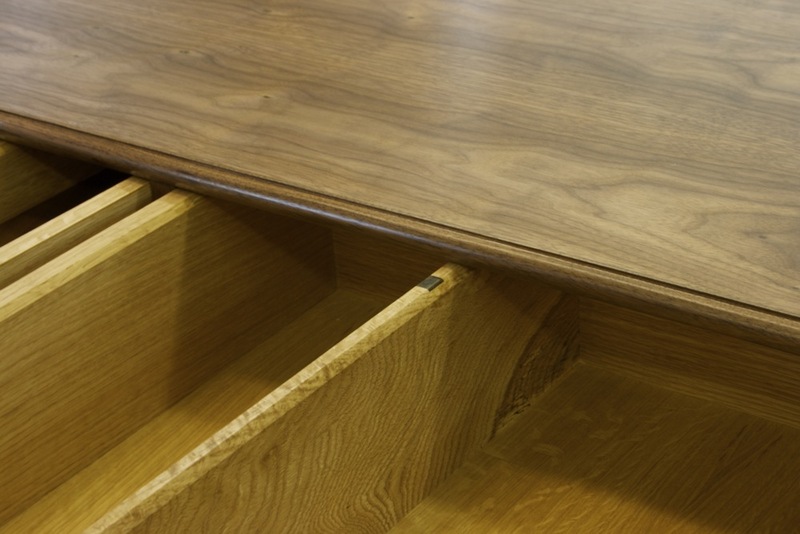 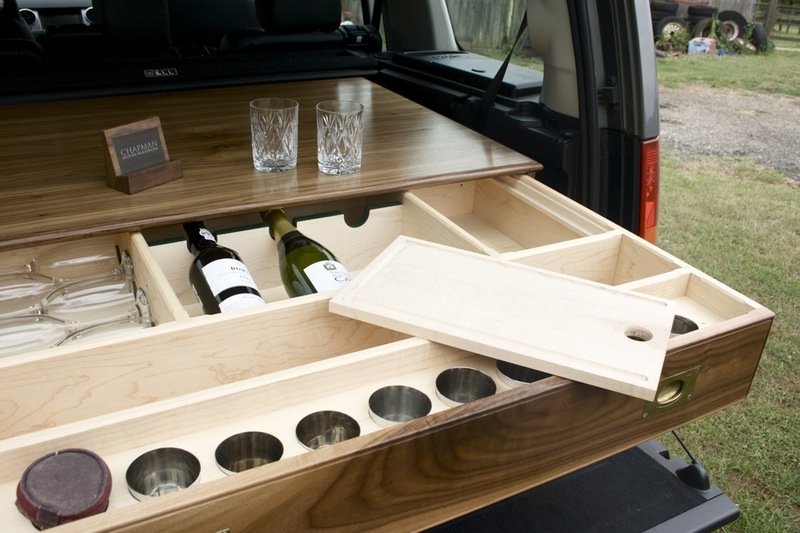 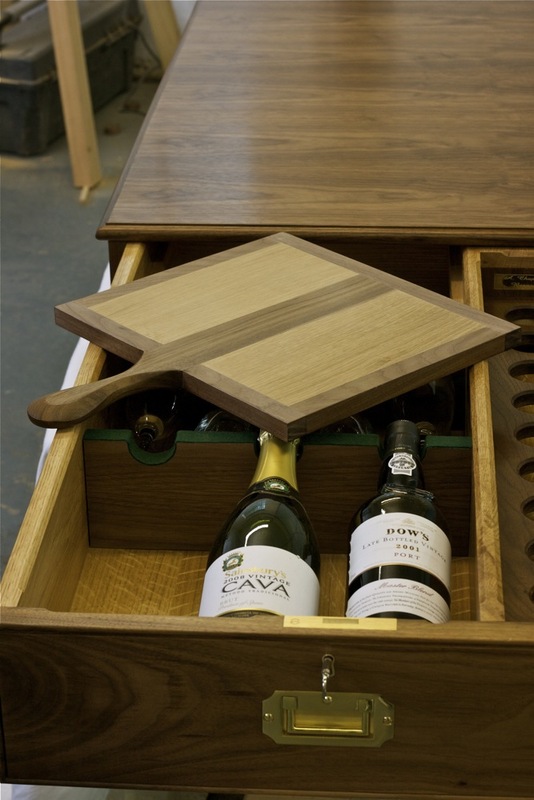 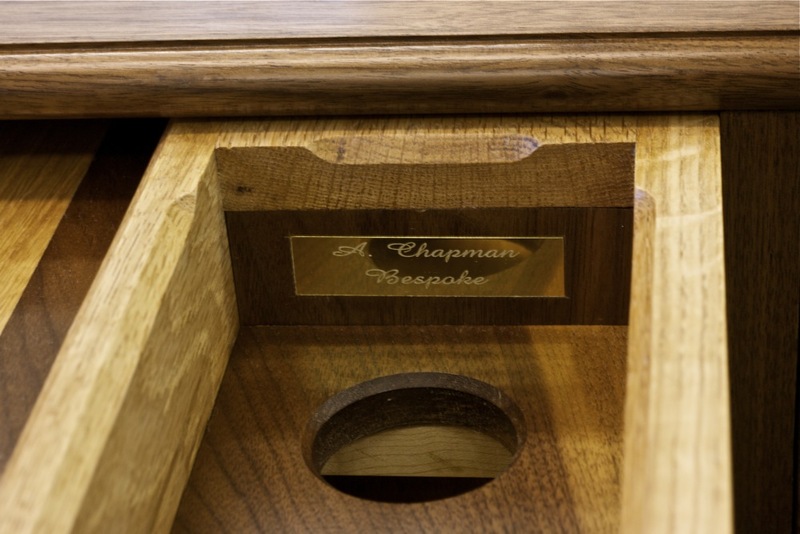 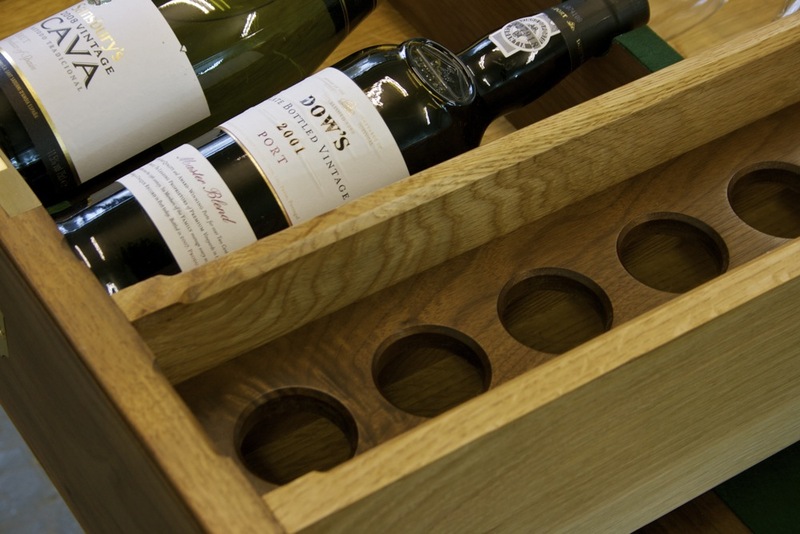 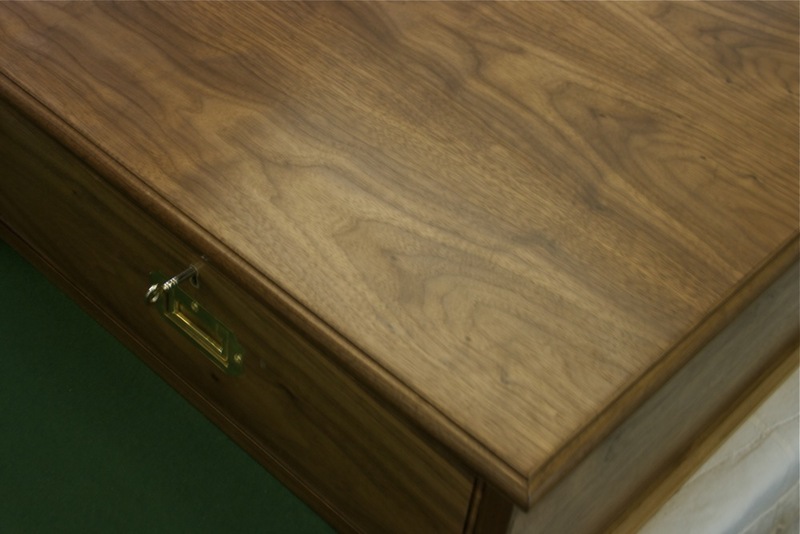 It is made in solid Canadian maple inside with solid black walnut drawer fronts. 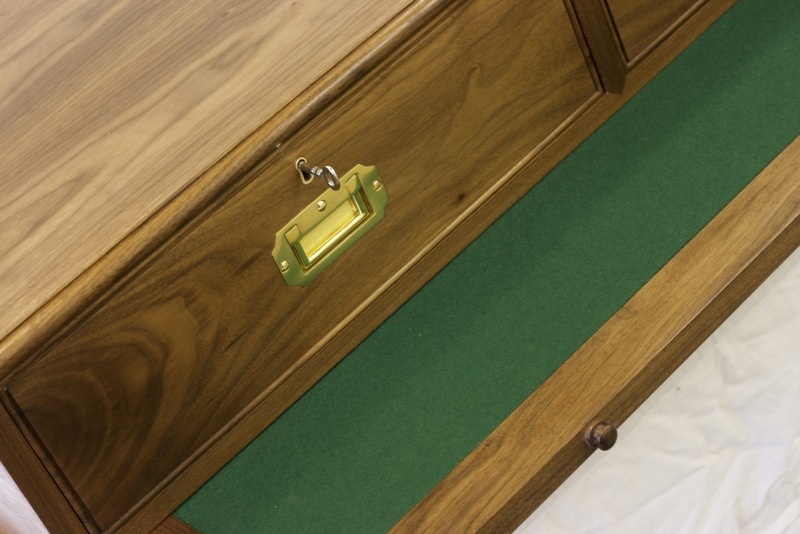 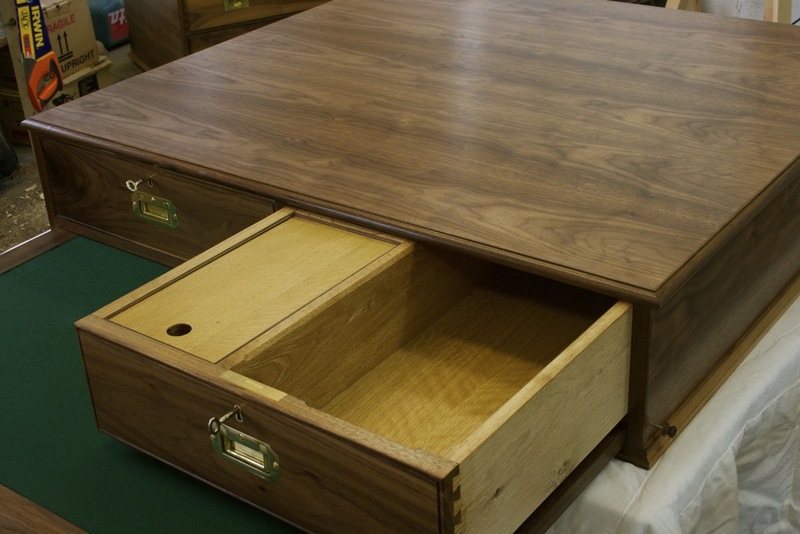 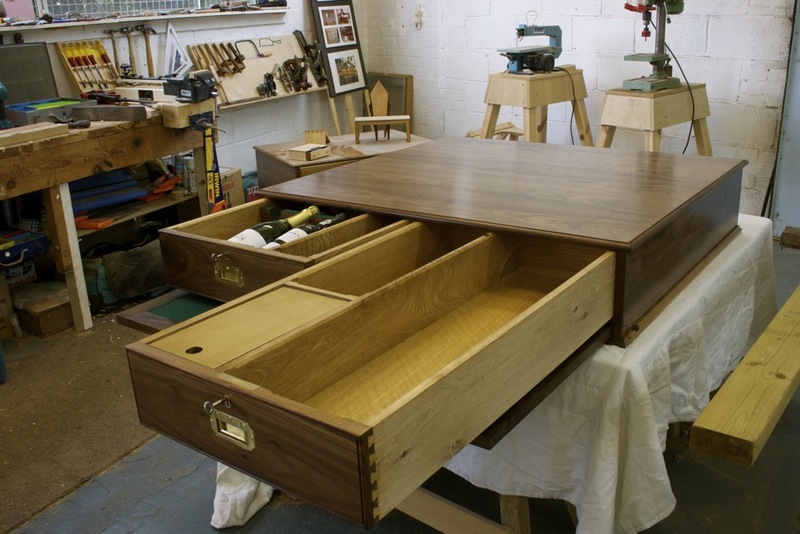 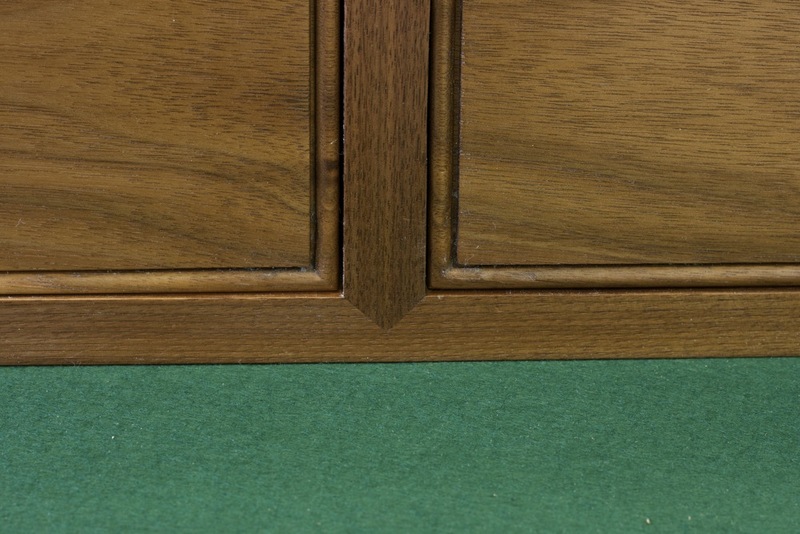 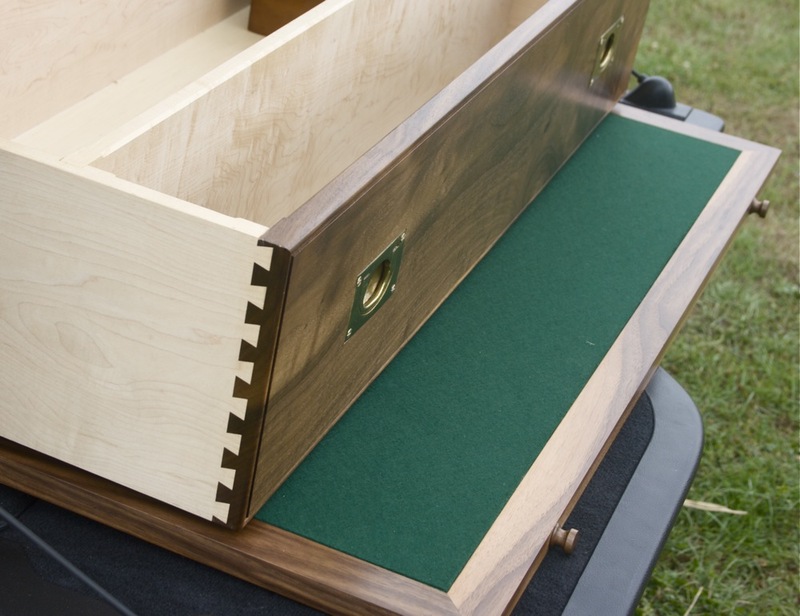 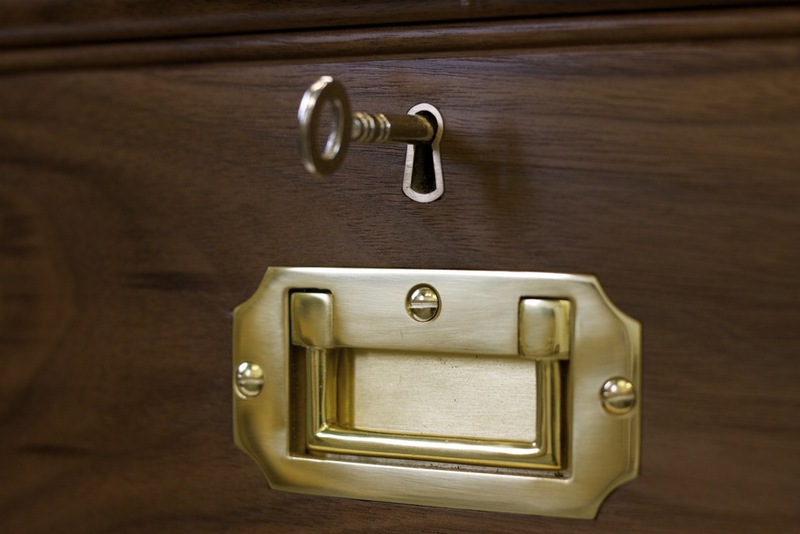 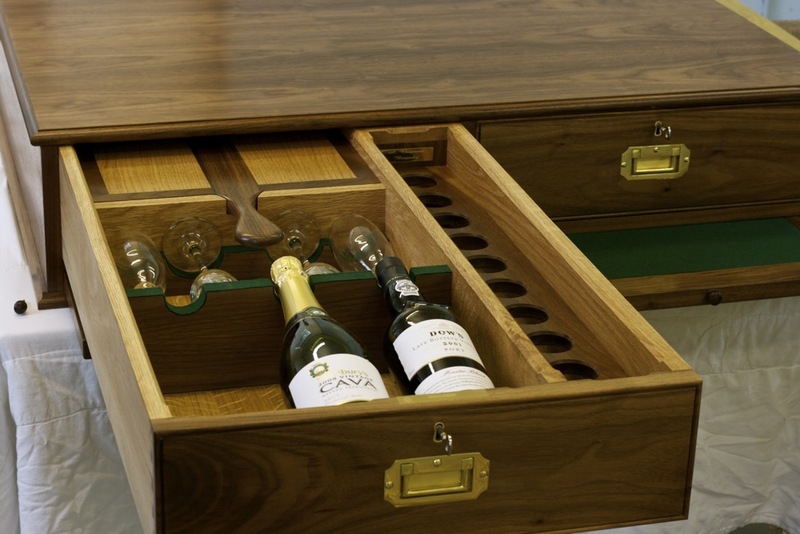 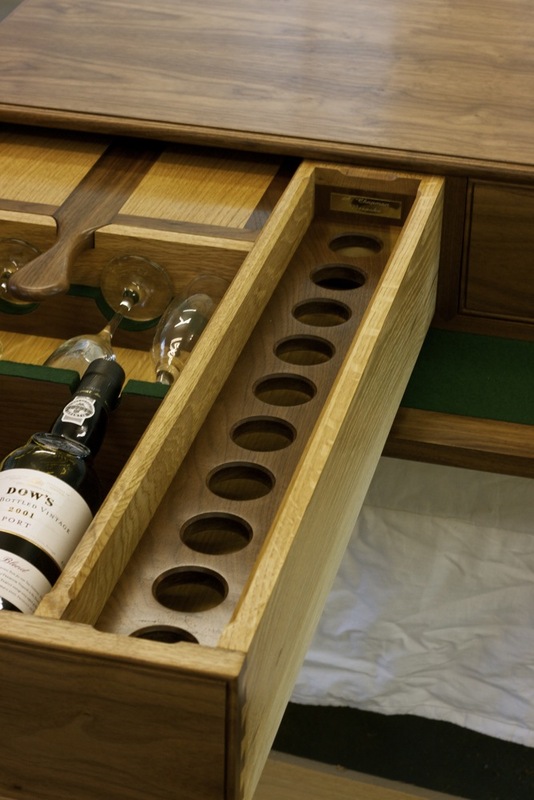 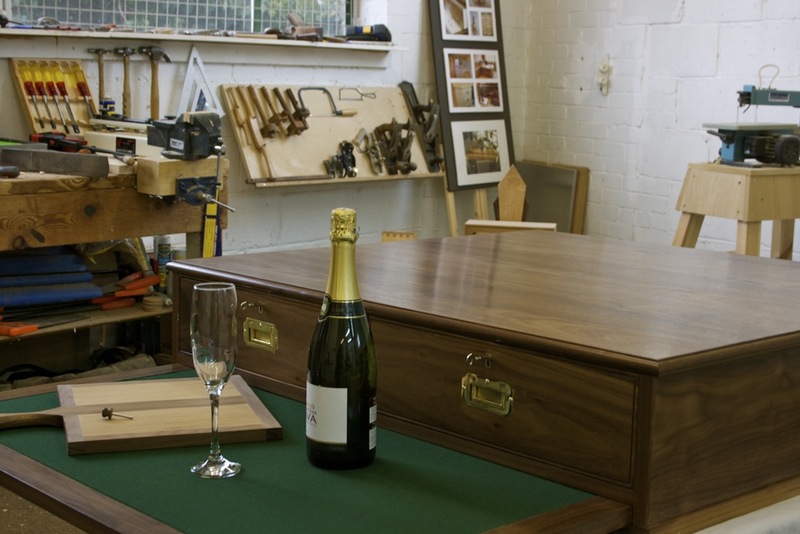 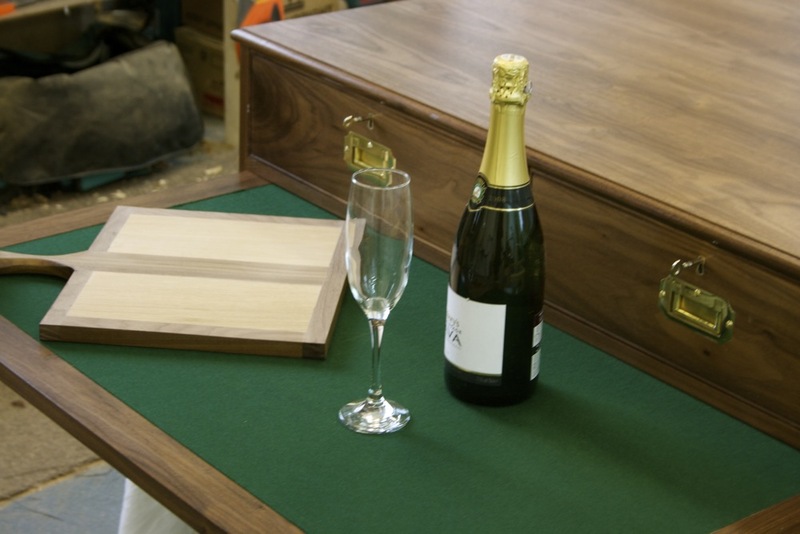 it has hidden locks for both drawers and a pull out green felt cleaning/service table. 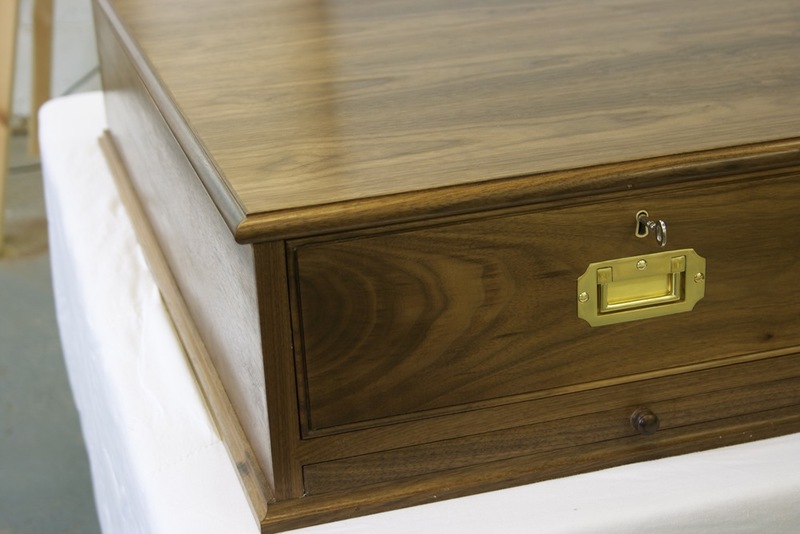 Finished in oil and finally waxed its period features really stand out.